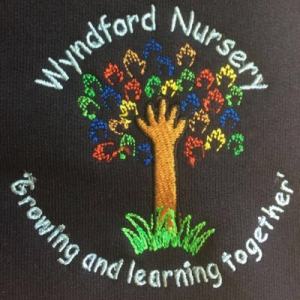 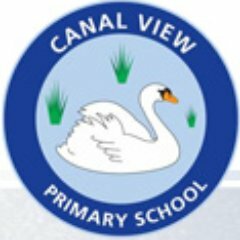 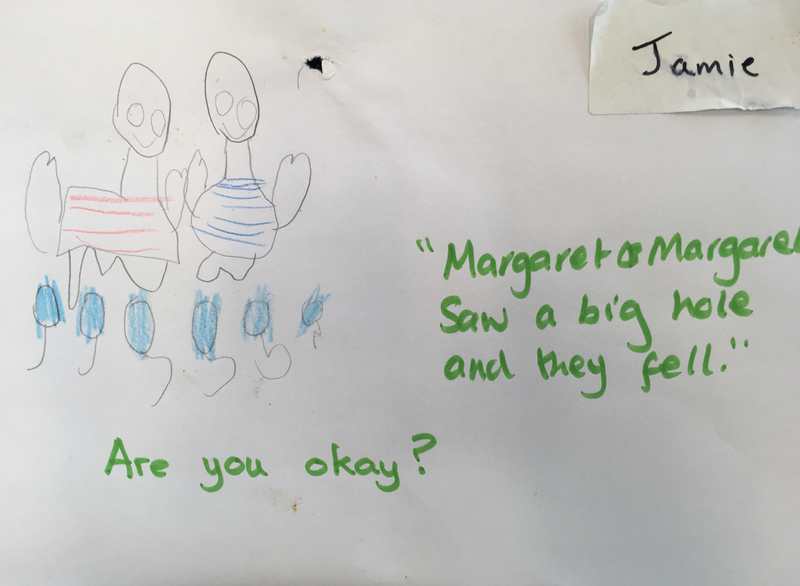 Lots of children at Oakwood Primary have travelled through the bog, over the sea, into the cave and up the mountain with Margaret & Margaret. 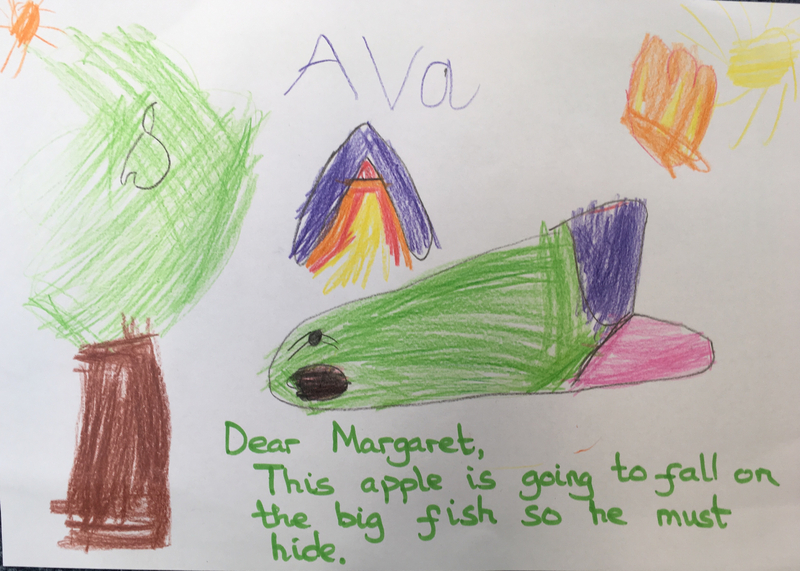 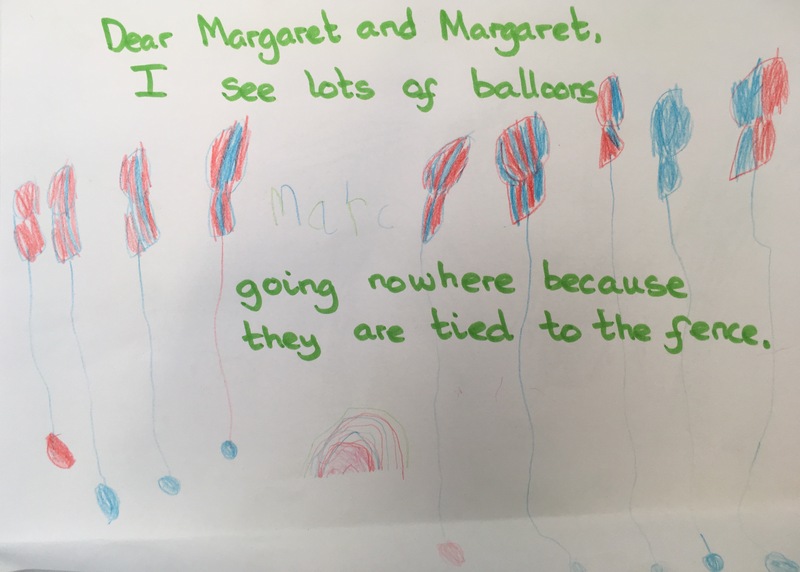 They sometimes get letters from their friends the two Margarets asking for advice or to find out what they have been doing and the children like to write back with a picture. 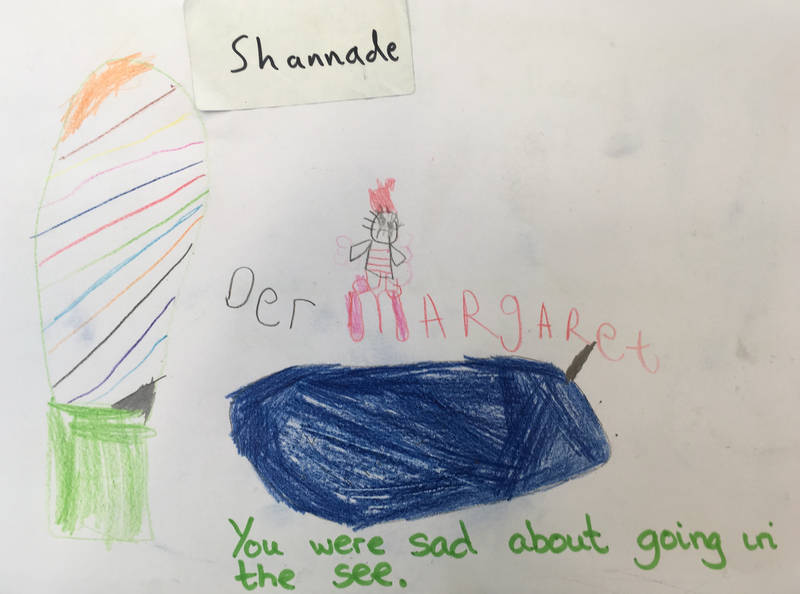 Sometimes they write a bit themselves, otherwise they tell their teacher what they’d like her to write on their picture. 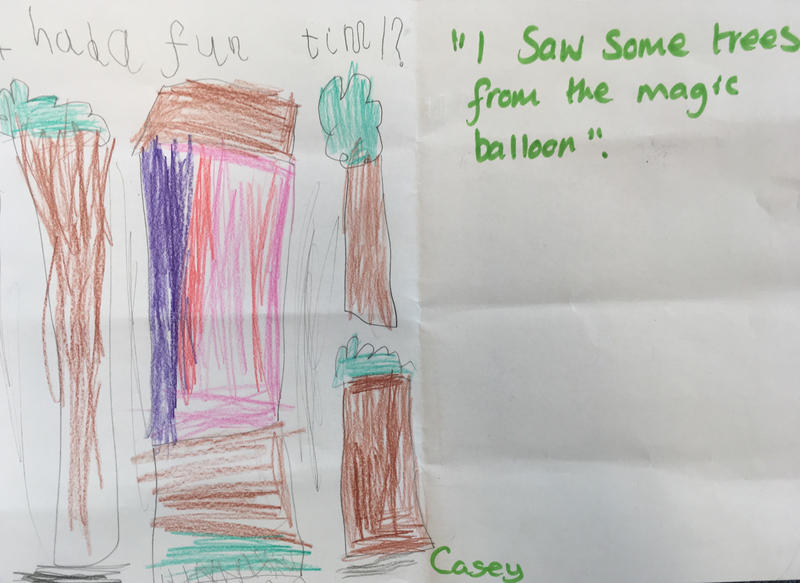 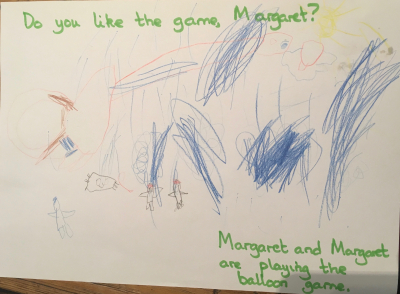 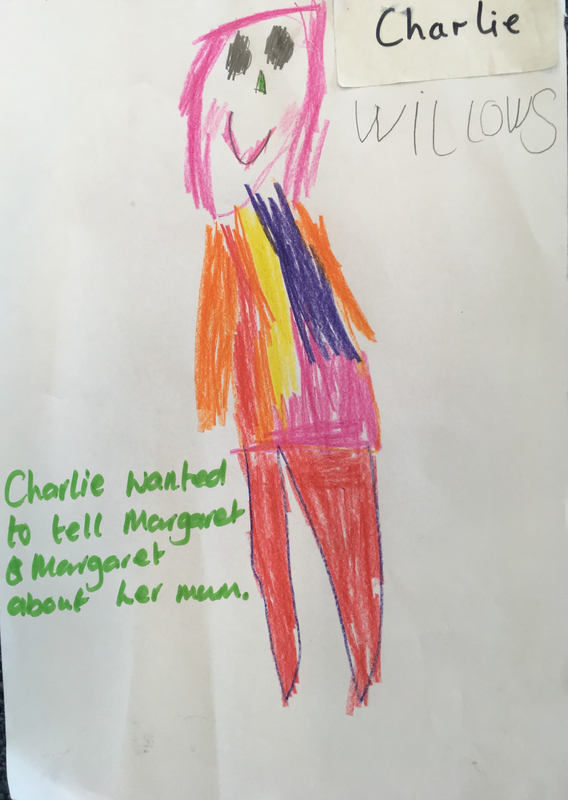 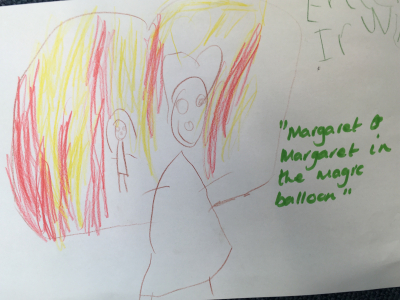 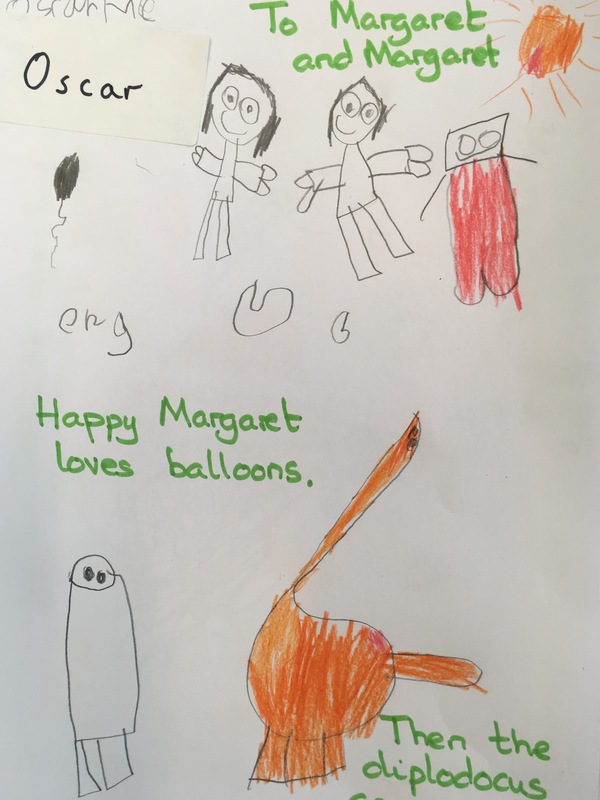 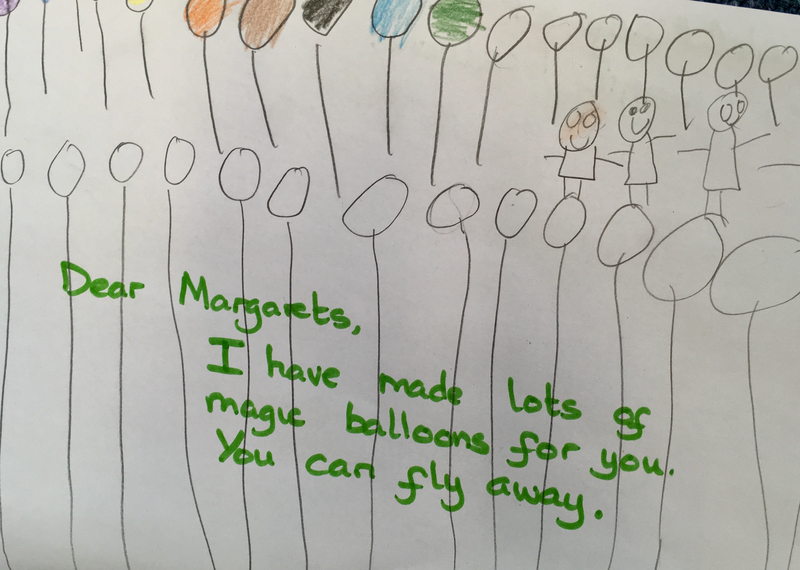 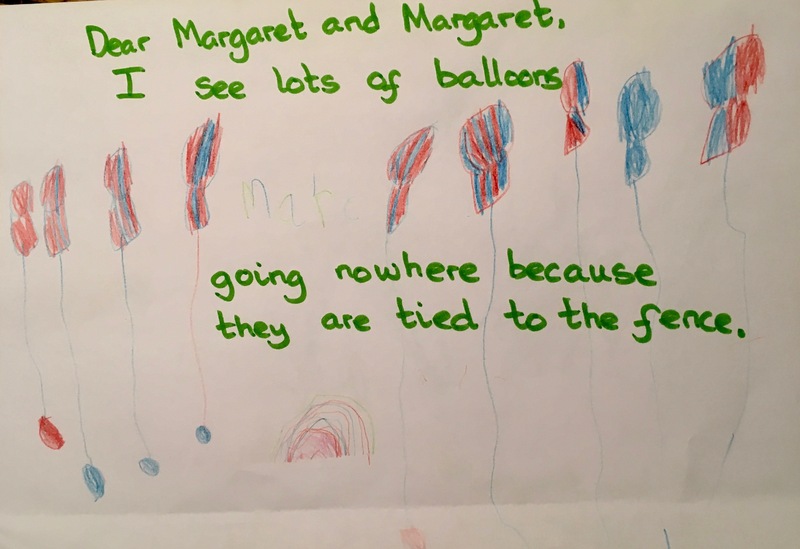 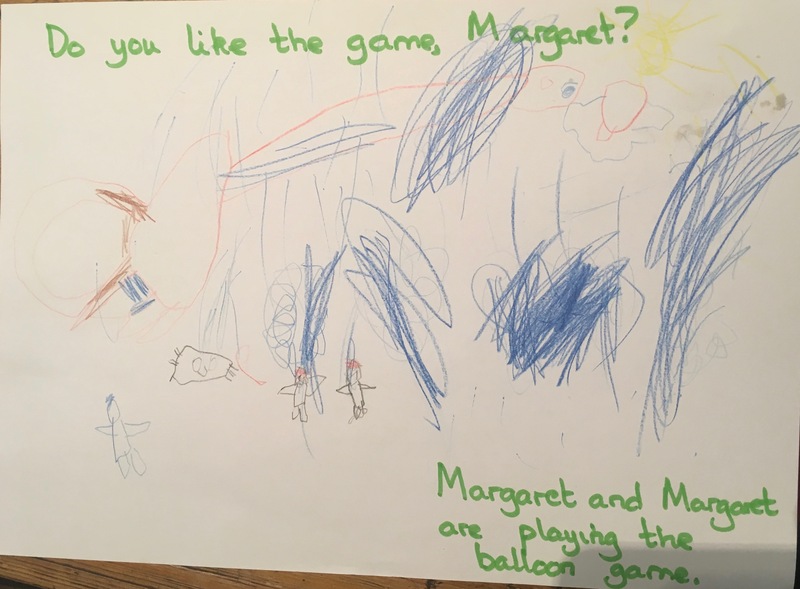 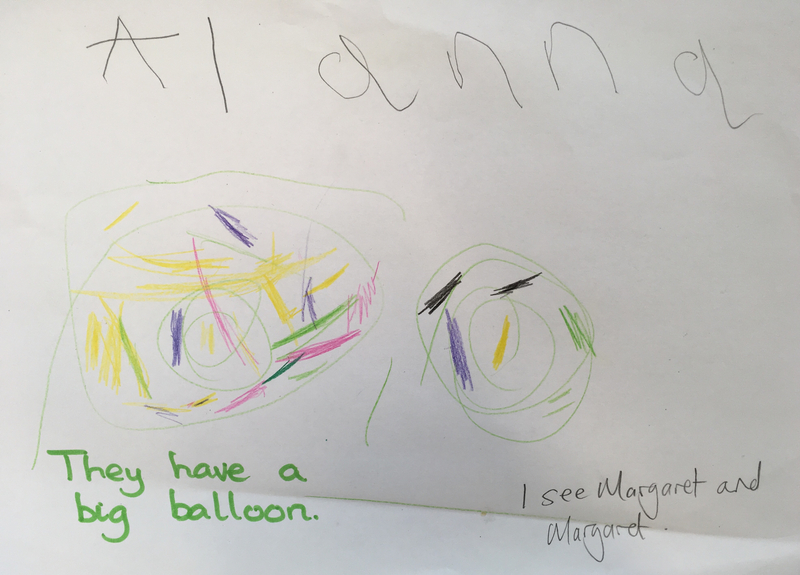 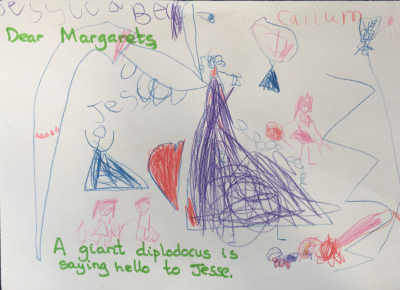 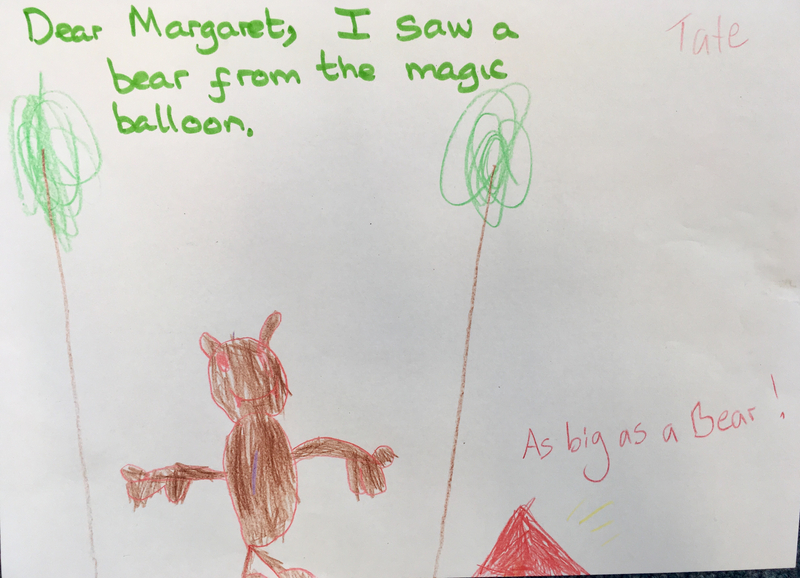 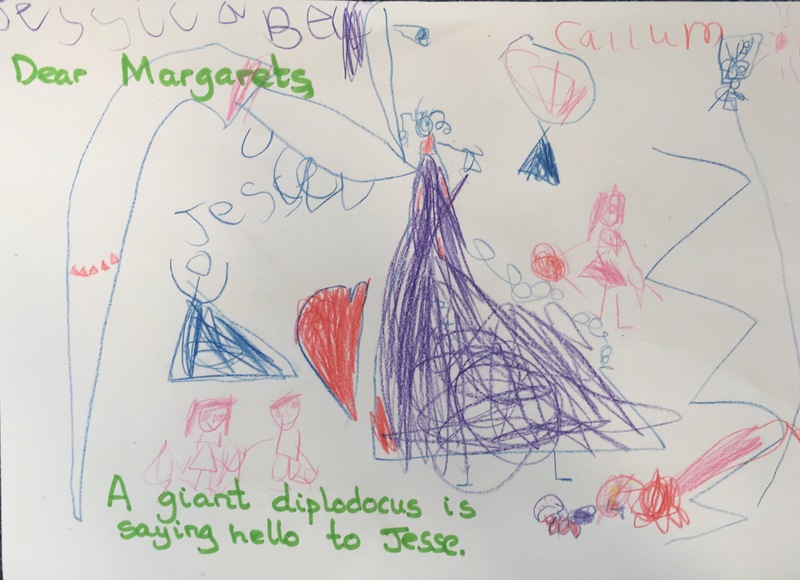 Last term the Margarets asked for ideas for their next adventure and the children gave them lots of wonderful ideas about places in the world they could visit in their hot air balloon! 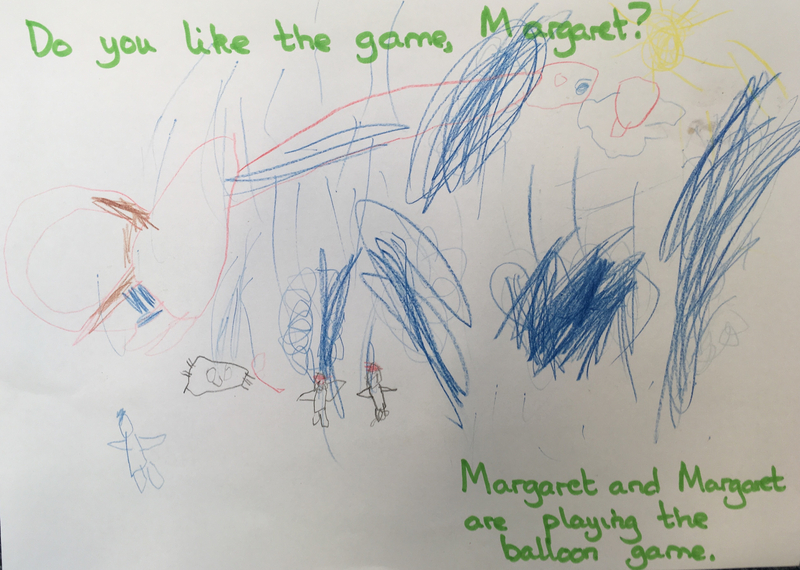 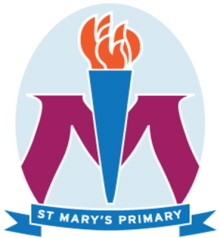 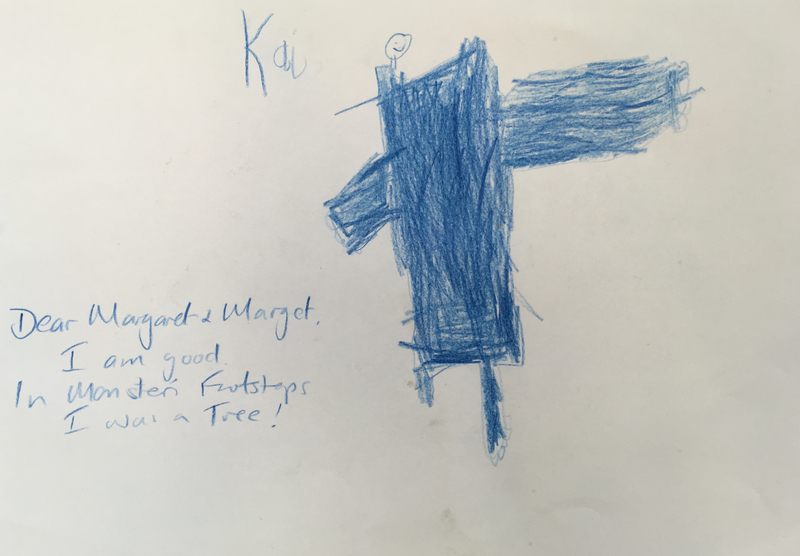 This term the two Margarets were flying over Oakwood again and wondering how their friends in Primary One were doing and whether they had been playing any of the games they showed them. 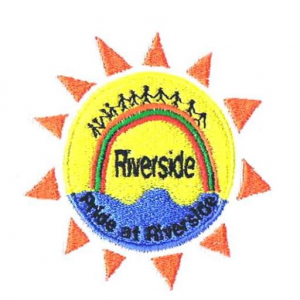 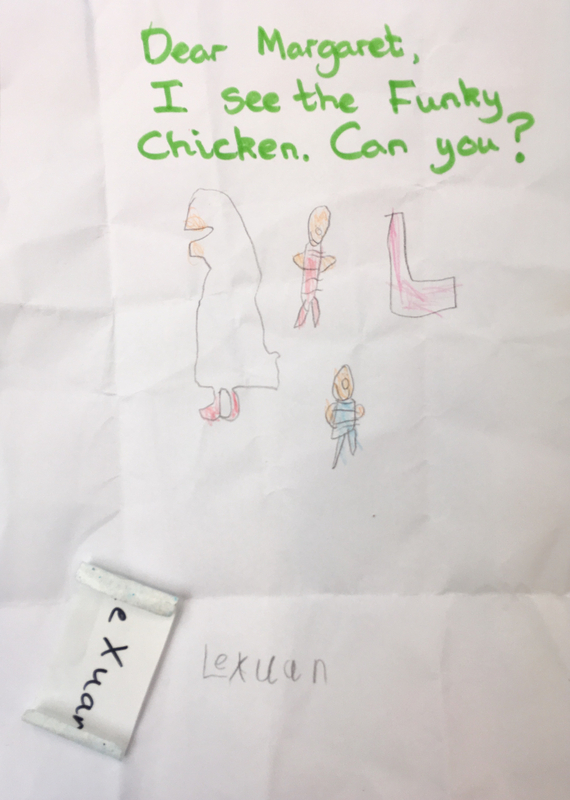 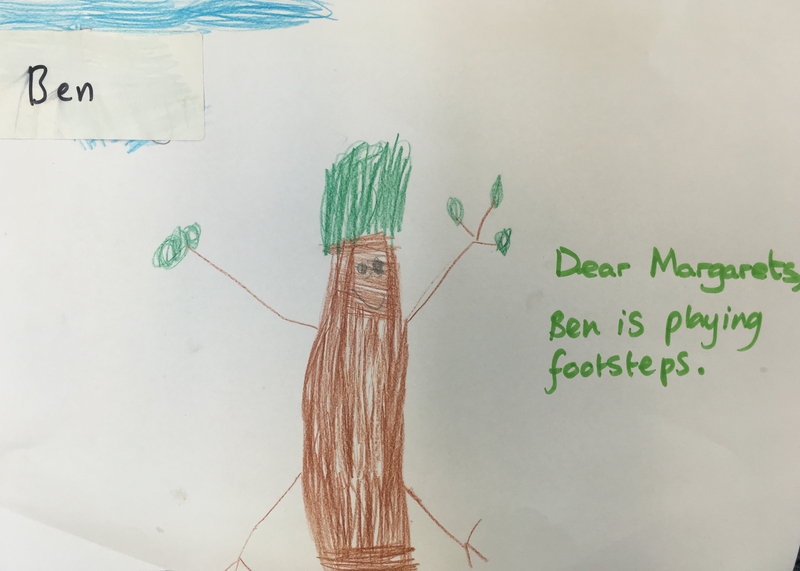 So they sent them a letter to ask them – these are the children’s replies!